Together we can make Hell great again! Permalink: Together we can make Hell great again! I wasn’t supposed to have favorites, but you, you were mine. I gave you the Mark because I loved you the most. I thought you were strong enough to bear it. Do you have any idea what it’s like to argue with your father when your father is God? Permalink: Do you have any idea what it’s like to argue with your father when your father is God? 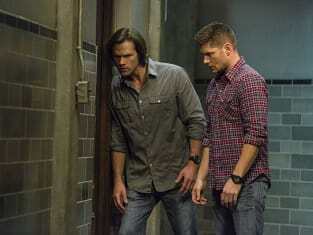 Supernatural Round Table: An Epic God vs. Darkness showdown?